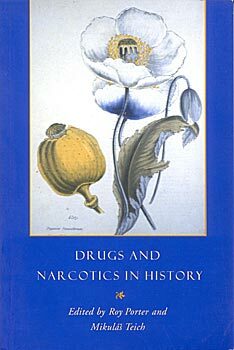 This collection of new essays explores the complex and contested histories of drugs and narcotics in societies from ancient Greece to the present day. The Greek term pharmakon means both medicament and poison. The book shows how this verbal ambivalene encapsulates the ambiguity of man's use of chemically active substances over the centuries to diminish pain, fight disease and correct behaviour. It shows that the major substances so used, from herbs of the field to laboratory-produced synthetic medicines, have a healing potential and have been widely employed both within and outside the medical profession. Many of these substances, if taken improperly, are also highly toxic or even lethally poisonous. Some, being mood-influencing and habit-forming, are open to abuse and lead to addiction. In these circumstances the status of drugs has often been highly contentious. while medical science has striven to unravel the properties of potent substances, drug users, the medical profession, public opinion, and the state have been involved in demarating 'proper use' and approved users - processes that have often led to violent conflicts. The boundary lines between use and abuse in society have been powerfully contested, while 'alternative' medicine has often sought to develop milder, purer, more natural drugs. clearly, these issues remain unresolved today: some highly addictive and dangerous substances such as nicotine in cigarettes remain freely available, others are available only by prescription, while others are illegal and the objects of international contraband trade and targets of 'drug wars'.